A lasting solution for windows, doors and trim. Royal Mouldings Exterior products are low maintenance and provide a beautiful, durable option to wood. Made of 100%Cellular PVC with a solid outer skin and a strong durable core. Royal exterior mouldings come with a factory applied Readi Finish. One of the strongest features of Cellular PVC is energy efficiency. The material insulates 70% better than wood and 1600% better than aluminum. An excellent way to add a natural rustic charm and warmth to your project. JDIRVING Barn Boards are rough kiln dried eastern white pine, painted to enhance the natural characteristics of each board, to replicate natural aged and weathered wood.PRODUCT NOTE: Due to non- toxic tannins found naturally in all wood species, including Eastern White Pine - from which this product is manufactured, discolouration of the original pre-finished colour(s) may occur over time in a small percentage of boards. This discolouration should only add to the uniqueness of each board, while still maintaining the aesthetic and look of a naturally weathered rough barn board. Every piece meets the highest grading standards for strength and appearance. Eastern White Pine Knotty Premium - pattern boards are most commonly used for basic interior finishing applications. Boards can also be used for carpentry, hobbies, furniture, shelving, and general finish work. The wood has straight grain and has uniform texture. It has low shrinkage and is worked very easily by hand and machine tools. The product is easy to glue and has good nailing and screw holding properties. The paint retention properties are good and it is fairly easily treated with preservatives. 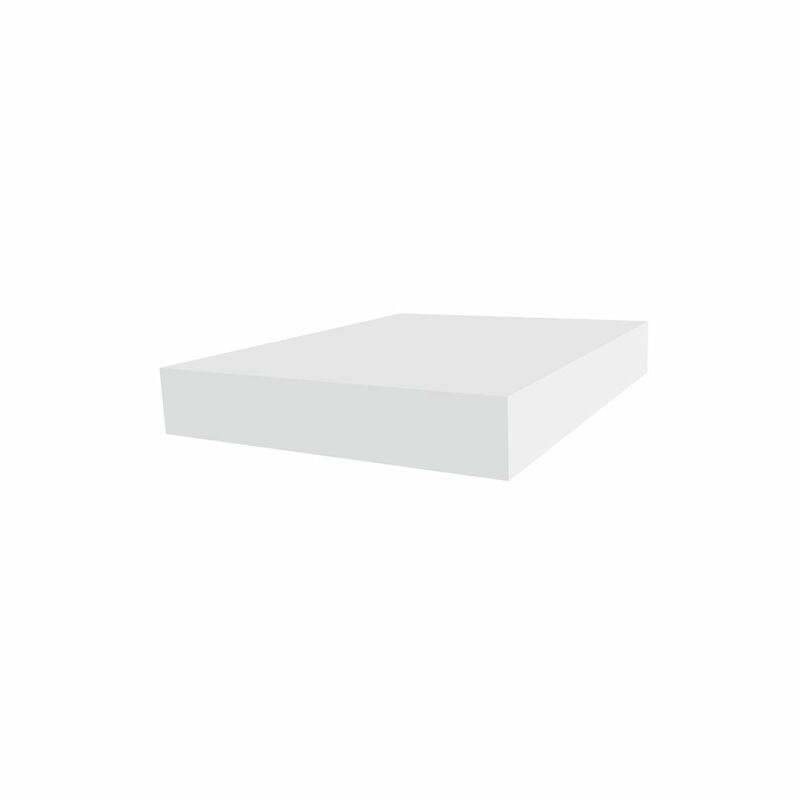 1 Inch x 6 Inch x 12 Feet Veranda PVC Trim Board White A lasting solution for windows, doors and trim. Royal Mouldings Exterior products are low maintenance and provide a beautiful, durable option to wood. Made of 100%Cellular PVC with a solid outer skin and a strong durable core. Royal exterior mouldings come with a factory applied Readi Finish. One of the strongest features of Cellular PVC is energy efficiency. The material insulates 70% better than wood and 1600% better than aluminum.